Welcome to this, the first in an occasional series on the magic of music. We all know that music can affect the way we feel, that it can unlock memories, that it has a physical effect upon our bodies. We may start tapping our fingers or our feet. We can be calmed or agitated by the music we hear. Most often these reactions are completely involuntary. Music has an enormously long and varied history, from the very earliest of times, it has always had a very important and real part to play in families, groups and wider society. Having started this tour simply investigating the effects on our memory that are linked to particular pieces of music, it soon became clear that music, does in fact have even more effects upon us than this. Not only that, but that these effects, its ‘magic’ if you like, can be used to the advantage of us and those around us. It frankly astonished me that music has its role in such areas as: dementia and head injury, pain relief, sports performance, mental health, memorisation and recall, language learning etc. Music lives on in our long-term memories. Since music does not operate on a single area of the brain, but on multiple large areas, it is captured in our memory in a unique way; a way which allows for a unique involuntary retrieval to take place. Music activates the auditory, motor and limbic (emotional) regions of the brain. 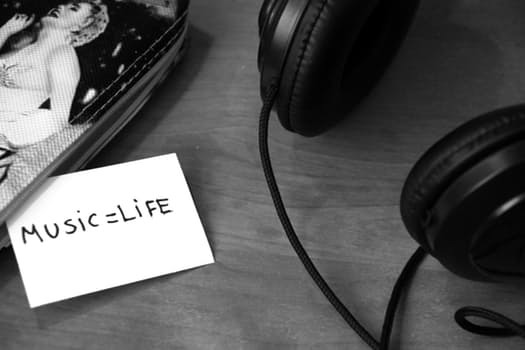 Regardless of the type of music that you are listening to, those same areas of the brain are activated; so you can be listening to classical, jazz, hip-hop or pop, it is all the same. You hear the music and process sound, your mind processes the rhythm, the beat, while your emotions go on their own strange little journey. (1) Strong emotional responses are common to music: ‘can make you love, can make you cry, bring you down, can get you high.’ (Bread– The Guitar Man) These emotional responses play an important part in the association of memory with music. So next time you are listening to the radio…or are out shopping… or you have chosen a favourite album to listen to…or… and this magical effect happens, where you are transported back in time and place, you have your brain’s magical connection to music at its deepest level to thank for it. I hope you have enjoyed reading this article. Please feel free to comment with your own experiences of how music has taken you on this magical carpet ride back to the days of your youth, or even the days of your parents and grandparents.